Since Apple updated its Watch software, some have found the heart rate sensor to be rather inconsistent. 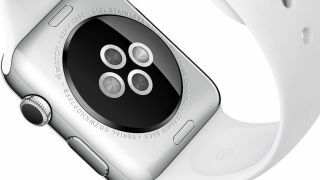 At first it looked like Apple had done something by mistake to break the software, but an update to a support page suggests Apple has intentionally taken features away from the Watch. Originally the Watch would measure your heart rate every 10 minutes but now it only does it when you're sitting still. It's thought Apple has adapted the software to help save on battery life, so we think a lot of users will find it difficult to Apple's decision here. It doesn't mean you're without a heart rate sensor though – you can still use the Glance view option and starting off a Workout session will also allow you to monitor your heart rate. This move does beg the question whether anyone will miss having their heart rate taken every 10 minutes? Surely if you want it as a feature surely you'll actively look for it and for most battery life will be a much bigger issue.